The Congress Street Residences development is a preservation project comprised of 64 family rental housing units in 8 buildings. CSR was financed with sources including 4%/State LIHTC equity, Fed/State Historic Credit equity, tax exempt bond financing, DHCD HOME and bond-funded sources and local sources such as CDBG, HOME, and CPA. NSD assisted North Shore CDC, a non-profit developer, in forming the project structure and drafting the pro forma, writing the applications for pre-development, construction and permanent financing, as well as in the construction closing, requisitioning and cost certification process. Construction and lease-up are complete, and the Commonwealth’s Department of Housing and Community Development has approved the project’s cost certification. Project Notes: As part of the acquisition and rehabilitation effort, North Shore CDC was able to finance the development of community space for Salem’s Point neighborhood known as Espacio, where community events and classes occur. The Residences at Salisbury Square on Maple Street and Elm Street is a $14 million project undertaking of the YWCA of Greater Newburyport. 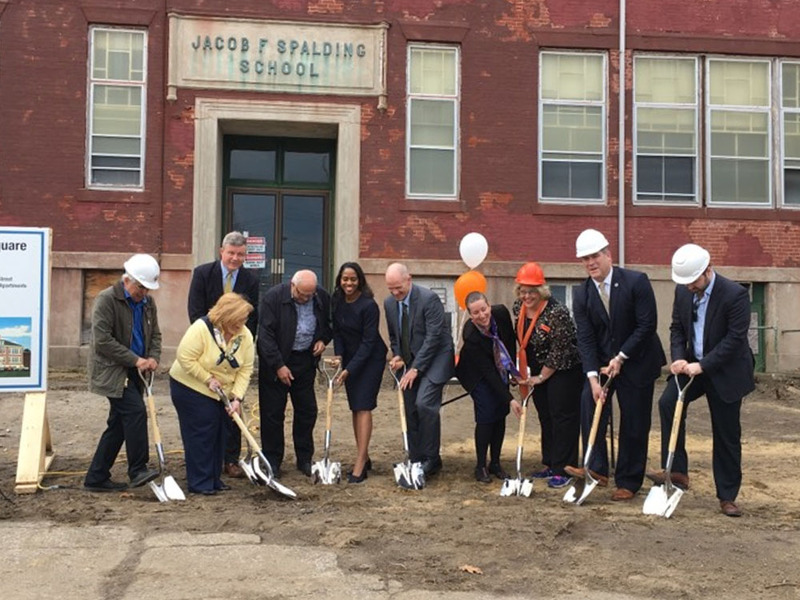 This residence will include 42 units of affordable housing and of which 26 units will be built at the former Spalding School and 16 will be new construction on Elm Street. The units are for extremely low income and very low-income families. Three units will be made available for households for people with disabilities with incomes less than 30 percent of the area median income (AMI); five units will be built for homeless families with 30 percent of AMI; ten for households with incomes below 50 percent of AMI; an additional eight for those with 30 percent AMI; and 16 units will be held for those who make below 60 percent of AMI. Project Notes: This project was funded using 9% LIHTC equity, a local bank permanent mortgage using an FHLB of Boston subsidized advance, an FHLB of Boston Affordable Housing Program grant, a local bank construction loan, State bond-funded sources, North Shore Consortium HOME funds, and the Town’s Affordable Housing Trust. Adaptive reuse of a historic brick mill building into 276-mixed income, family rental housing units. The first 180-unit phase of this LIHTC project closed on its construction and equity sources recently. New Seasons assisted the for-profit developer with financial structuring, and participated in the closing process. The second phase totals 96 units and New Seasons assisted in submission of funding applications to the Commonwealth of Massachusetts and will assist in the closing process once awards are made. Project Notes: The financing package for this project was multi-faceted. 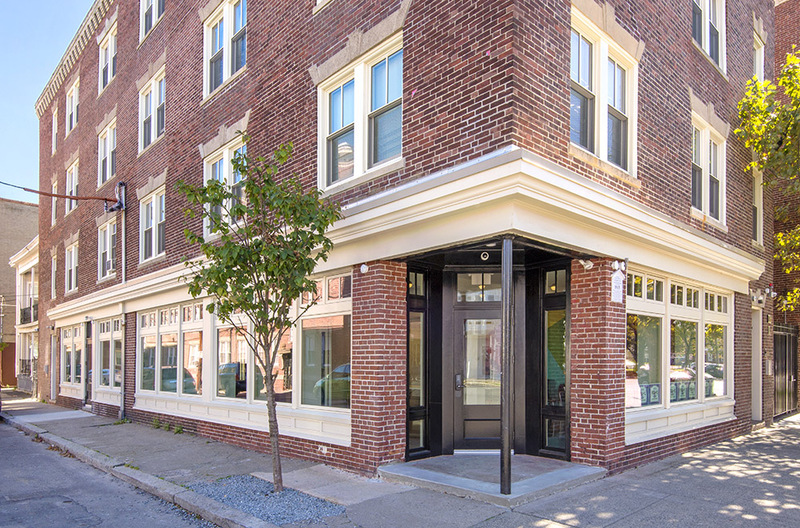 Consulting work included applications for FHA insurance, MassHousing workforce housing funds, 4% LIHTC allocation and equity, state and federal historic approvals and equity, and tax-exempt bonds issued for multi-family affordable housing development. This project will serve households at 30%, 60% and 80% of the AMI. O’Connor Way, South Boston: 47-unit elderly rental housing project, sourced by 4% LIHTC equity, tax exempt bonds and Inclusionary Development Program funds. NSD has assisted the non-profit co-developers, South Boston NDC and Caritas Communities, with financial structuring and applications and the selection of a lender and an equity investor. We are now assisting in preparing for the closing process. Coastal Metals/School St. Sites, Merrimac: Approximately 40 units of family rental housing, using LIHTC as a source and consisting of new construction. NSD assisted the non-profit developer, North Shore CDC, in a successful RFP response and now assists with design, 40B zoning application, financial structuring and processing. NSD will assist in the closing process as well. The Lighthouses, Salem: 46 units, new construction. NSD assists a non-profit developer, North Shore CDC, with the program concept, design, zoning application, financial structuring, application and closing process, using 9% LIHTC. Sociedad Latina, Boston: NSD is helping a non-profit service organization acquire and then renovate its existing building used as programming and office space for services to Latino youth. The organization is located in the Mission Hill neighborhood of Boston. New Markets Tax Credit equity and Massachusetts Cultural Facilities Fund grants are contemplated as sources in this two-phase transaction. George Fernandes Way, Sandwich, 6-acre site in developer selection stage. NSD assisted the housing authority in the development of parameters for the RFP to be issued to potential developers of site for 24+ units of affordable rental housing, and in reviewing the RFP responses. Sudbury Station, Sudbury, 250-unit proposed 40B project, under review by ZBA. NSD provided financial peer review services to the Town of Sudbury in relation to a request for a change in scope and size of the project. Pointe at Hills Farm, Shrewsbury, 280-unit proposed 40B project, under review by ZBA. NSD provided financial peer review services to the Town of Shrewsbury in relation to a request for a change in scope and size of the project and for mitigation payments for sewer upgrades. Note: New Seasons is currently helping three separate developers apply for project eligibility letters under Chapter 40B. One project is a large project with over 250 units and the other two projects are in the 40-60 unit range. They are all multi-family rental housing proposals.